P SATel Institute for Information Processing University of Pisa SantAnna school Pisa Today trends in Software Engineering 1. Distributed Objects 2. Component. Download ppt "P SATel Institute for Information Processing University of Pisa SantAnna school Pisa Today trends in Software Engineering 1. Distributed Objects 2. Component." 3 Copyright © 2005, Oracle. All rights reserved. 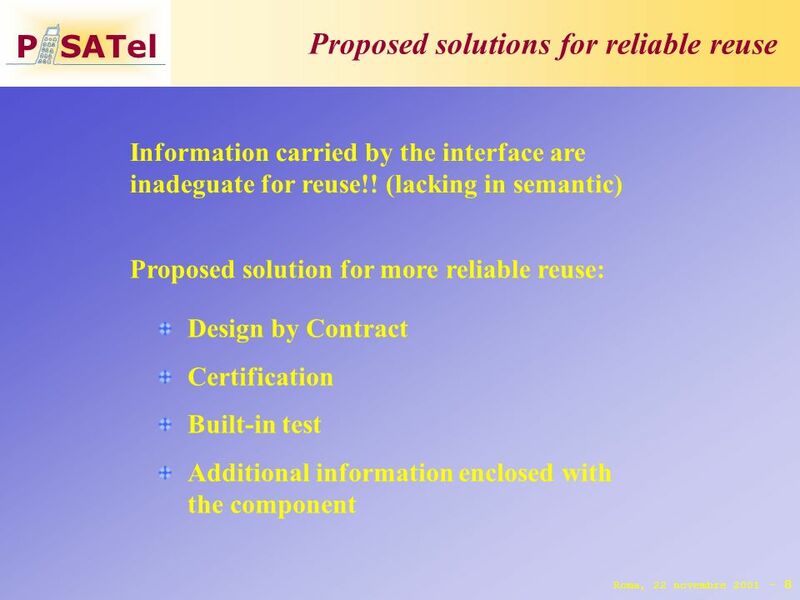 Designing J2EE Applications. Components Alexey Golubev, What is a component? 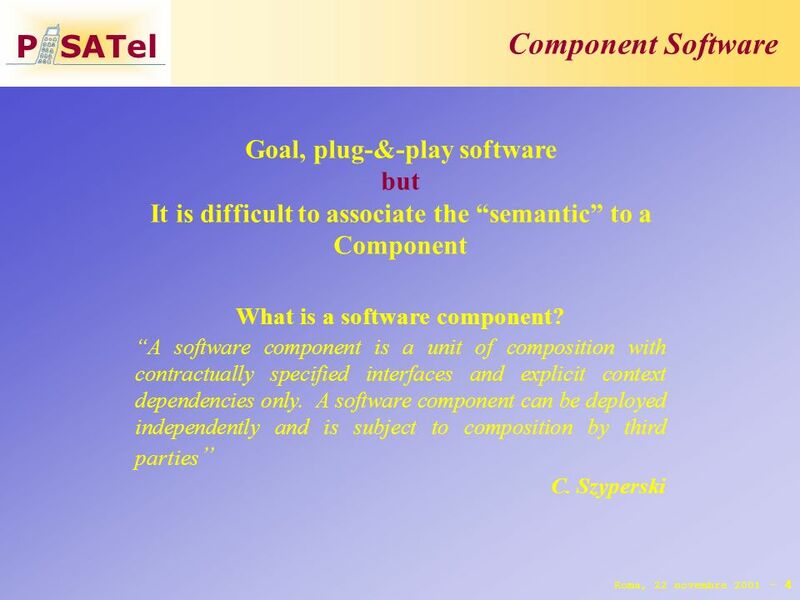 What is a component? The father of components? The father of components? Components and their. ©Ian Sommerville 2004Software Engineering, 7th edition. 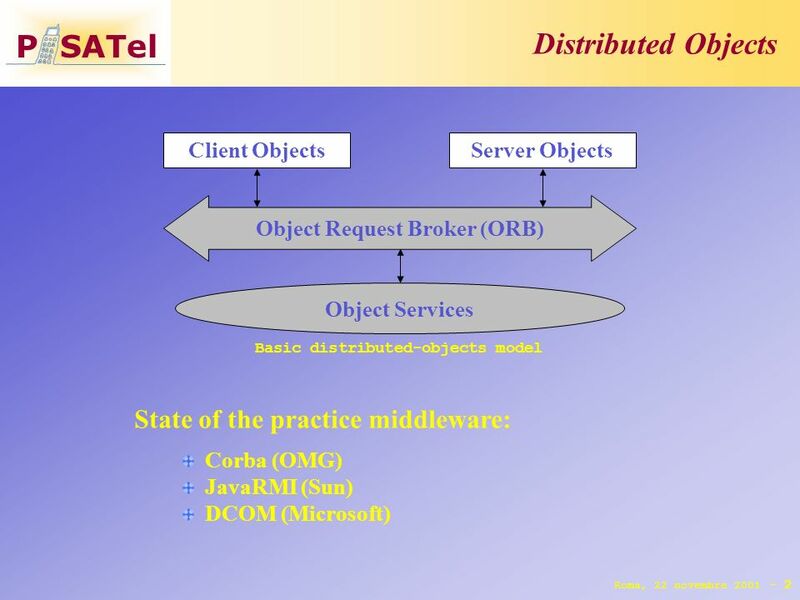 Chapter 9 Distributed Systems Architectures Slide 1 1 Chapter 9 Distributed Systems Architectures. Software Architectural Design Software Components Instructor Dr. Lawrence Chung. 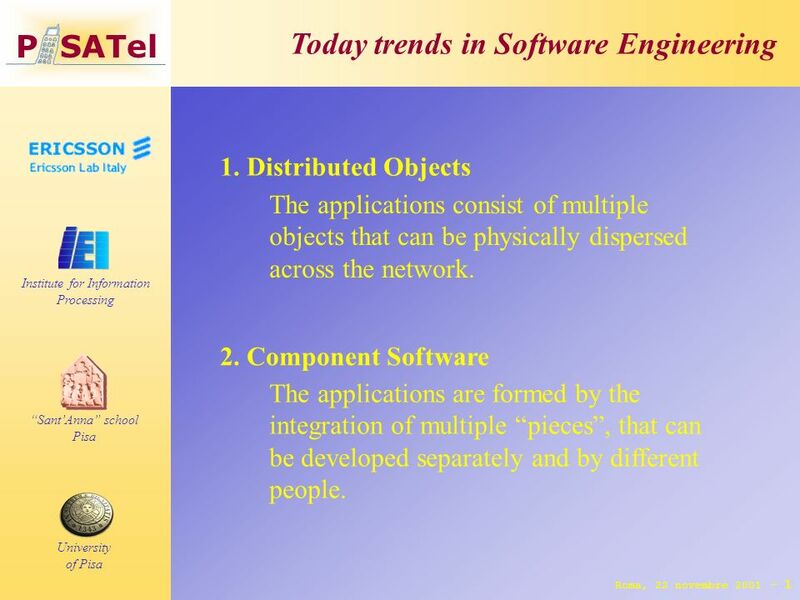 Software Engineering Module 1 -Components Teaching unit 3 – Advanced development Ernesto Damiani Free University of Bozen - Bolzano Lesson 3 – Building. Approaches to EJB Replication. Overview J2EE architecture –EJB, components, services Replication –Clustering, container, application Conclusions –Advantages. 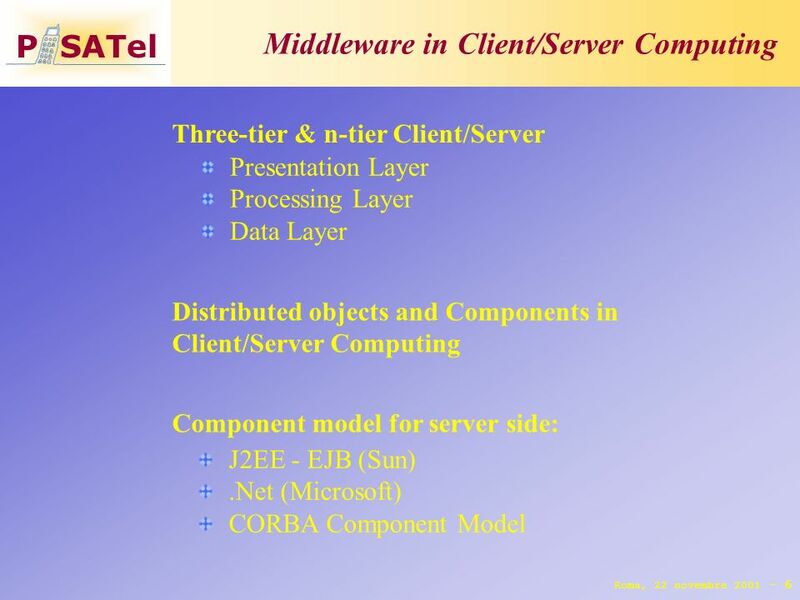 CS 501: Software Engineering Fall 2000 Lecture 16 System Architecture III Distributed Objects. Software Engineering and Middleware: a Roadmap by Wolfgang Emmerich Ebru Dincel Sahitya Gupta. Architectural Design Principles. Outline  Architectural level of design The design of the system in terms of components and connectors and their arrangements. 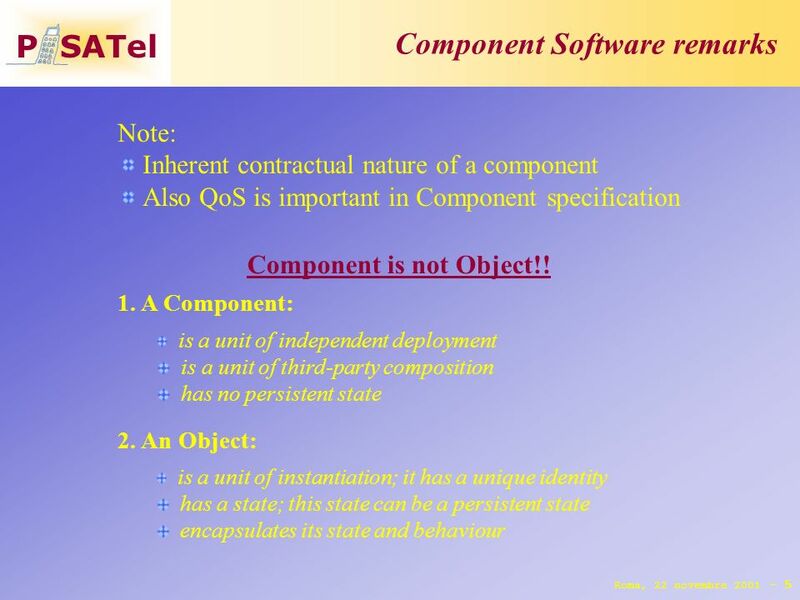 Component Based Systems Analysis Introduction. 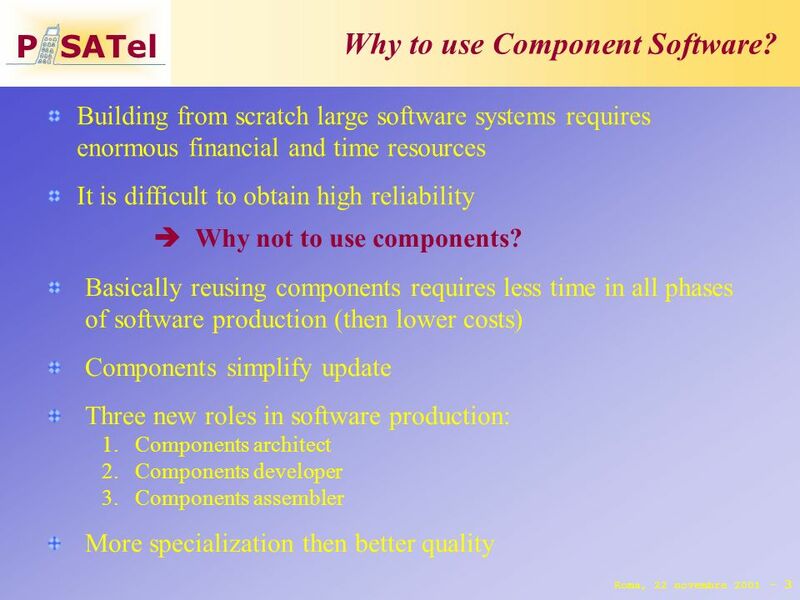 Why Components? t Development alternatives: –In-house software –Standard packages –Components 60% of the. 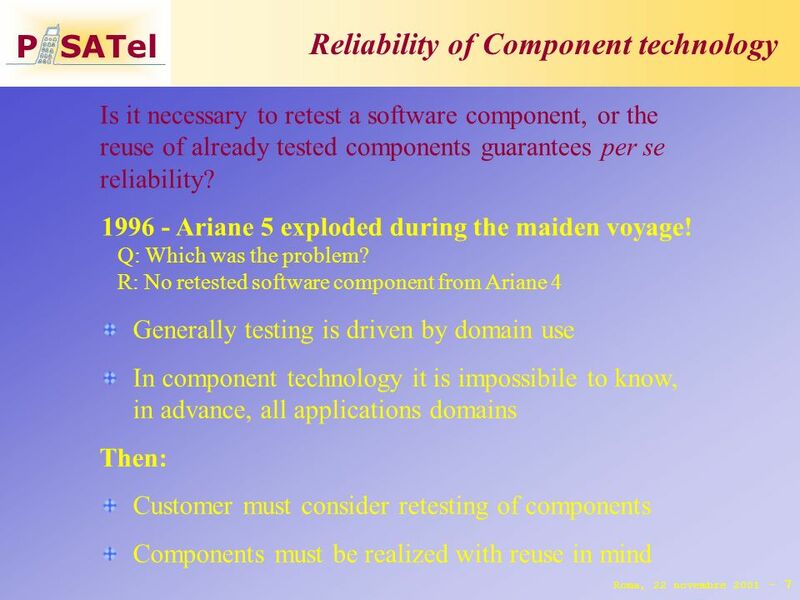 Software Engineering Module 1 -Components Teaching unit 3 – Advanced development Ernesto Damiani Free University of Bozen - Bolzano Lesson 2 – Components. 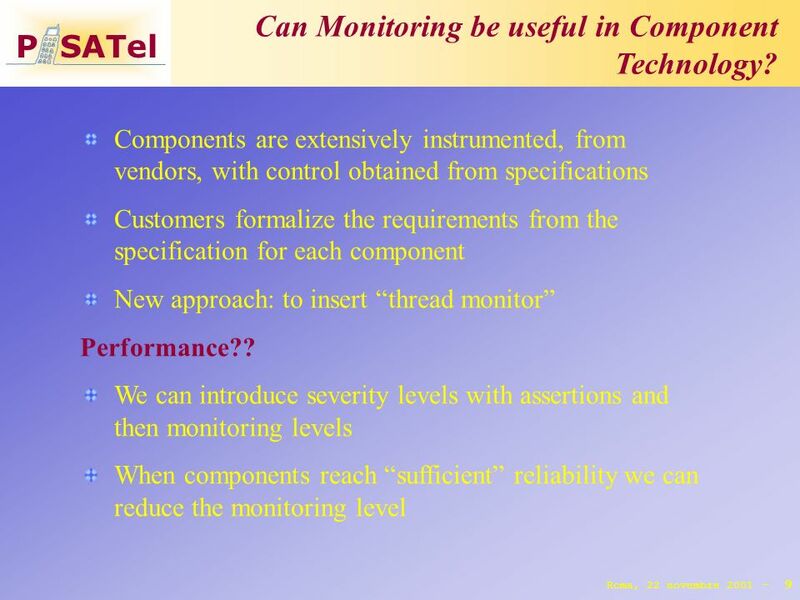 Quality Assurance for Component- Based Software Development Cai Xia (Mphil Term1) Supervisor: Prof. Michael R. Lyu 5 May, 2000.